Myofunctional therapy is a specialized treatment for individuals experiencing a reverse swallowing pattern (commonly called a “tongue thrust”), which may be accompanied by problems with facial muscles (known as orofacial muscle imbalance), dental structure, and speech production. If not treated, orofacial muscle imbalance and reverse swallowing pattern may result in malocclusion, relapse (i.e., shifting of the teeth) after orthodontic intervention, gum problems, facial pain, headaches, and speech problems such as lisping. 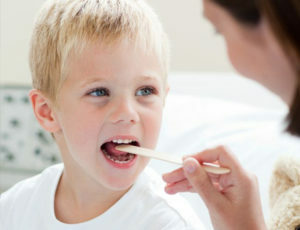 At our Center, a myofunctional therapist will evaluate your child’s orofacial muscle function and swallowing pattern. An individualized treatment program of speech and myofunctional therapy will then be designed for your child, to correct the swallowing pattern, remediate the speech sound errors, and retrain the oral and facial muscles.